When a marriage is ending, relationships and obligations often continue, especially when children are involved. The conflicts that may arise during a divorce battle in court can be emotionally and financially draining. 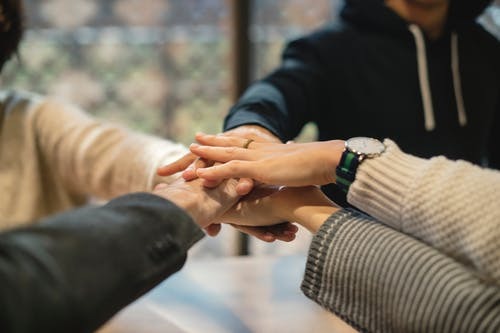 The collaborative law approach helps couples and their families find their way to respectful resolution by creating an emotionally safe environment for the parties to negotiate and resolve conflicts without going to court. What Is Collaborative Law In A Texas Divorce? The collaborative law process is a method of dispute resolution where the parties work together with the assistance of their attorneys and other professionals to reach agreements without going to court. The parties may be adverse to one another, but the collaborative law process does not put them against each other. Instead, the parties and their lawyers work together as a team. The goal is to achieve interests in a forward-looking manner rather than punishing each other for past behavior. Collaborative law is a voluntary process. Unlike mediation, the court cannot force the parties to participate in the collaborative law process. HOW DOES COLLABORATIVE LAW WORK? WHAT ARE THE BENEFITS? Using a collaborative law approach, all parties pledge in writing not to go to court. They then hold a series of face-to-face discussions between the couple and their attorney until an agreement is reached. The parties must commit to a respectful, problem-solving approach. Lets talk about how to use collaborative law in a Texas divorce as a way to minimize the damage. With this approach, teams of financial planners, counselors and even mortgage brokers can help your family determine your needs and priorities as you work out your dissolution of marriage. Where a traditional divorce may take several months or even years, a collaborative divorce can often be done in six months or less. Without the traditional fees that come with a long court fight, a collaborative solution can save you money. In a collaborative divorce, because they won’t be used as pawns in bitter family squabbles, children can better deal with the reality of their new situation.